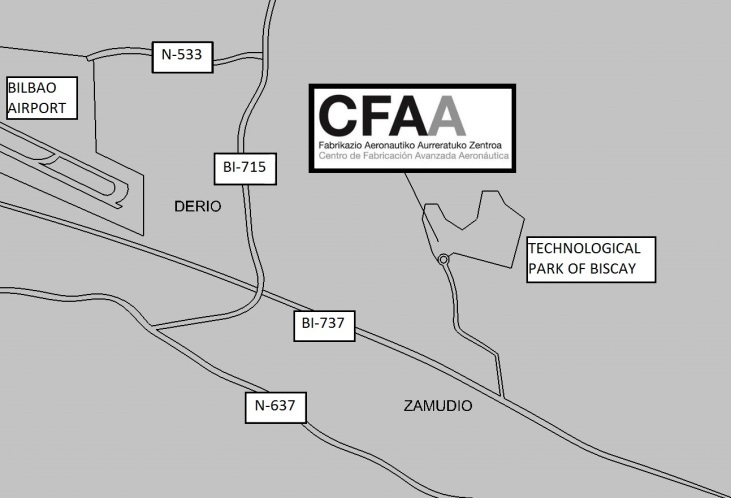 The CFAA is located in the Technological Park of Biscay, where many companies of the aeronautical and research sectors are located; this promotes synergies between independent organizations. The centre is found in the metropolitan area of Bilbao, Province of Biscay, partner of the Basque Autonomous Community or Basque Country. The Basque Country is internationally renowned for being one of the most advanced regions in Europe, especially in the sectors of machine tools and high performance manufacturing research. In addition to being in contact with the highly specialized companies of the area, the centre is an excellent access point to the Bilbao Airport (approximately 10 minutes away) and the city centre (approximately 20 minutes away).